I checked the search and the main discussion was old and closed. I'd love to know the results if anyone did end up trying to cut craft foam on a cutter. I have a zing air and instead of spending about 90.00 on the dies I need for scripts. (Die cutting foam) I'd love to get my zing to do it. @Simmer I think if you look at the Business Cards discussion by SteveC00k you'll see that he has cut craft (fun) foam - only question is did he do it on a Zing; you might recognise the cutter in the photo. I would think the Zing could cut it with no problems but I don't have one so I am only guessing from what others had said. I have cut 1mm thick FunFoam. When you get packages of it, not all pieces are the same thickness. The thinner sheets in the packages work. You may need to use several passes, and if not cut cleanly all the way through, you can usually "punch out" the remainder by hand cleanly. 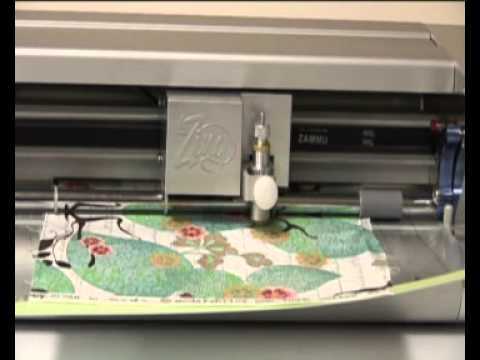 @Simmer, here's an old YouTube video by Fred, the Oz KNK distributor, showing the original Zing cutting felt, fabric, and craft foam. You might also notice that he's not using a stock Zing bladeholder. He's using a blade holder that fits the Zing and uses Roland blades. They are sold on eBay. The seller's name is cnccheap and you can read this thread for more info. Fred was using that particular blade holder because the Zing blade holder hadn't yet been finalized versus needing to use it for cutting those materials. Since Fred is our Australian KNK distributor, he received a Zing prototype a few months ahead of release so that he could start making videos and promoting it. It illustrates the fact that the Zing can use tools and tool holders made by other manufacturers. That was a selling point of the Zing and I like that the Zing is able to do that.